The Foundation operates with the support of a volunteer group of individuals passionate about the future of Irish Performance Sailing and a skeleton professional staff. Colm has raced dinghies and keelboats successfully in Ireland, Europe, the U.S., the Caribbean and Australia where he has won club, regional and national championships. He is a three time winner of the Round Ireland Yacht Race and has won the Royal Yacht Squadron’s Britannia Cup on two occasions. He has also cruised extensively world-wide. 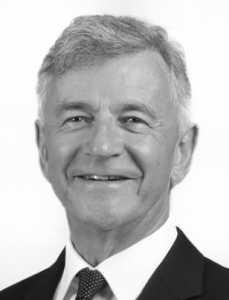 Colm has been professionally involved in international aviation for many years. He is the Chief Executive of NYSE listed FLY Leasing Limited and former Chair of Aer Lingus plc. 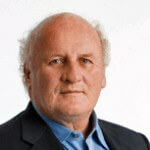 Colm has been chair of the ISA’s Olympic Steering Group since 2005. Tom is a founding Director of NTR (National Toll Roads) plc. and Chairman of the Board of Directors. He also holds a number of other Directorships. Tom graduated from Trinity College Dublin with an MA (Economics) Degree and holds an MBA from The Wharton School, University of Pennsylvania. An accomplished sailor, Tom is a member of both the Royal Irish Yacht Club and the New York Yacht Club. Patrick has been the Chief Executive Officer of Greencore Group Plc. since March 2008 and serves as its Chairman of the Group Executive Board. Prior to Greencore, he served as Managing Partner of McKinsey Ireland. He has been a Non-Executive Director of Glanbia plc. since May 30, 2014. Patrick is a former Rhodes scholar and holds a D.Phil. and M.Phil. from Oxford University. He also has a B.Comm (First Class) from University College Cork. In May 2017 Patrick was recipient of the The Ireland Funds Outstanding Contribution to Business Award, which was presented to him by Kieran McLoughlin, worldwide President & CEO of The Ireland Funds. Patrick is an accomplished a member of Royal Cork Yacht Club and will be taking part in the Rolex New York Yacht Club Invitational in Rhode Island this September along with fellow committee member Anthony O’Leary. James O’Callaghan’s responsibility is to develop and deliver athlete-focused, coach-led, performance-measured programmes across the ISA’s Performance Pathway. James works under the guidance of the Olympic Steering Group. James, from Malahide in Dublin, is a business and economics graduate of Trinity College. He is a Level 3 qualified coach and Level 2 coach tutor. 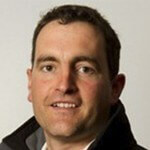 In 1998, along with Trevor Millar, he founded SailCoach Associates a successful coaching company based in France. James was a key member in the development and delivery of the SailCoach business model from foundation to 2002. His broad range of experience also includes coaching at five Olympic Games and numerous European and World Championship events across multiple Olympic classes. Since 2006 he has been the Performance Director for the ISA and results have steadily improved during his time at the helm. At the Rio 2016 Olympics his programme delivered Ireland’s first sailing medal in 36 years. Kathryn is an experienced strategic Marketing professional with a background working in various communications roles within multi-nationals, client relations within the advertising sector and most recently as Marketing Manager in one of Irelands leading Golf & Sports Clubs, Elm Park, where she was responsible for the planning and implementation of all internal and external communications successfully driving new member recruitment and new revenue streams. Kathryn has a proven track record in delivering quantifiable results through creative marketing solutions. 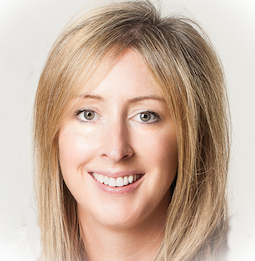 Kathryn is passionately committed to the future of Irish Performance Sailing and is responsible for communicating the Pier to Podium message to all corners of the world, building relationships with all those who share our vision to achieve the Foundation’s goals. To find out more about Kathryn and connect with her directly on LinkedIn please click here.